Luxurious Villa Thalie in Novalja, Pag. For 5 (+1 Child) people. Heated Swimming Pool, BBQ and Seaview. Luxurious Villa Alba in Novalja, Pag. Suitable for 6 People (+1 child). Heated Swimming Pool. BBQ. Seaview. Luxurious Villa Dana in Novalja, Pag. Suitable for 5 People (+1 child), Heated Swimming Pool. BBQ. Seaview. 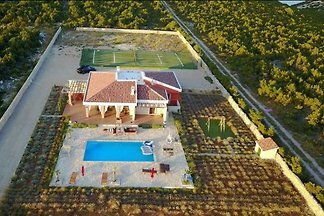 Hacienda with pool and tennis court, 3 bedrooms, 3 bathrooms, sleeps 6+2 people. It is 1 km from sea and 7 km from Zrce beach. from 5 9 holiday homes & accommodations in Novalja were rated with an average of 4.8 out of 5 stars ! Rent successfully your holiday flat or holiday home in Novalja in only 20 minutes !